We're here to help! Chat with us online during regular business hours. Find a branch or one of 30,000 ATMs near you. Complete our online form. We're here to answer your questions. Catch up with the latest news and events from Members 1st. Members 1st Credit Union — the first credit union established in Redding — has reached $200 million in assets. The credit union’s asset size grew over $10 million during the month of August 2018 to $208,549,907. The achievement reflects the continued strength and growth of the credit union, which has more than 20,000 members throughout the North State. Members 1st Credit Union began in 1936 as California State Employees Credit Union #13, serving mostly state highway workers in the Redding area. The Great Depression still lingered when the founders pooled resources to lend money to some and return dividends to others. Their center of operations was simple: a desk drawer in the state Department of Transportation office. In the 82 years since, Members 1st Credit Union’s membership, services, and geographic area have expanded greatly. There were three names and three mergers, including the 2000 merger with Federal Employees of Northern California Credit Union, established in 1941 for Shasta Dam workers, and the 2016 merger with STAR Community Credit Union, established in 1958 for the faculty and staff of California State University Chico and neighboring schools. Members 1st Credit Union reported healthy gains last year: asset growth of 11.6 percent (compared with 4.72 percent by peer institutions), loan growth of 22.1 percent (8.52 percent peers) and membership growth of 5.6 percent (2 percent peers). The credit union provides a full range of accounts and services including checking, savings, credit cards, loans, and investments. The credit union is one of the few financial institutions still offering a free checking account with no recurring account fees. Among the newest pluses for members are being able to open accounts online, an expanded offering of mortgage loans for home buyers, and the ability make person-to-person payments via email or cell phone. At Members 1st Credit Union, every member is a part-owner, shareholder. The credit union’s purpose is to provide the convenient and relevant financial services our members need to achieve their goals and dreams. 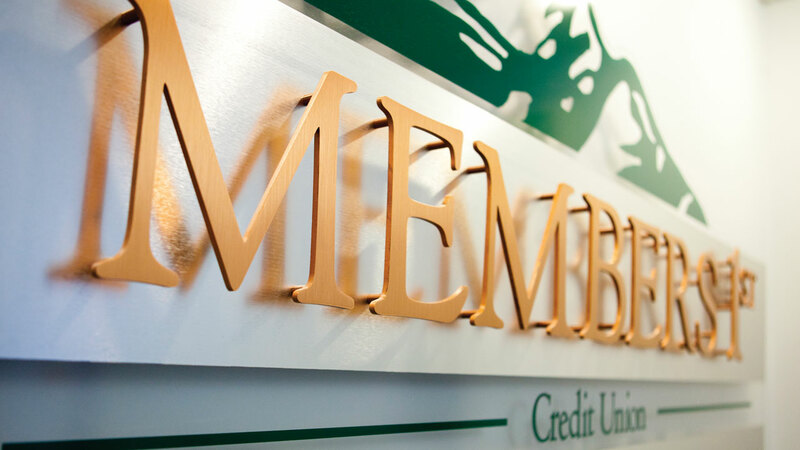 Members 1st Credit Union is headquartered in Redding with branches in Redding, Anderson, and Chico. Membership is available to those living, working, or worshiping in Butte, Glenn, Shasta, and Tehama counties. For more information, visit MembersOnline.org. Members 1st Credit Union provides the convenient and relevant financial services our members need to achieve their goals and dreams. Membership is available to anyone who lives, works, or worships within Butte, Glenn, Shasta, and Tehama counties. For more information, visit one of our four convenient branches, call (530) 222-6060, or visit MembersOnline.org. Members 1st Credit Union provides the convenient and relevant financial services our members need to achieve their goals and dreams. *APR=Annual Percentage Rate. APY=Annual Percentage Yield. If you need assistance navigating our website, please call us at 530.222.6060 during our normal business hours. Copyright (c) 2019 Members 1st. All Rights Reserved. Federally Insured by NCUA. Report your card lost or stolen by calling us at 1-800-528-2273 ext. 794. Report fraud on your account by calling us at 1-800-808-6402.